I keep reading blog posts and newspaper articles that state that, you know, debt in the post war years was higher than it is now and therefore high levels of government debt are not a problem. 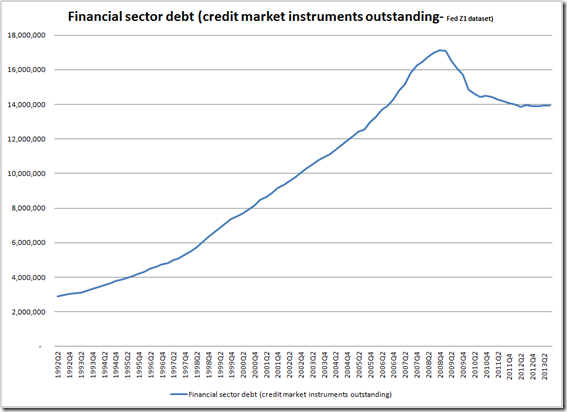 The Reinhart and Rogoff debate: does debt matter? Debt accumulation needs to be related to prospective economic growth and where the NPV of future returns (growth) is less than the present value of the debt and equity, the difference will be adjusted for in GDP growth until the two are in parity. 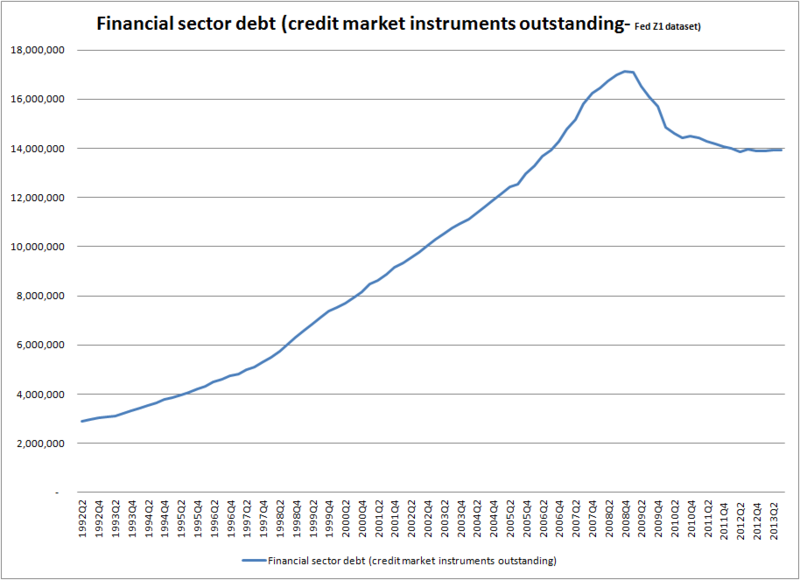 I would have to say that overall debt must matter and that much recent press commentary has got its hands on the wrong stick. But how much debt matters depends on a number of dynamics. The 2008 crisis told us that there was a mismatch between asset values and debt, asset values and future return, and debt and economic growth as well as some rather large structural economic imbalances. We have tried to delay the eventuality implied by the difference in the hope that the “true” magical economic growth rate should return. Have we built up a bigger monster, and if so, how do we slay the beast? A country heavily in debt will depend on a) future human capital earnings and b) returns on invested productive capital to reduce debt and increase GDP. Weak prospective returns on capital invested and low expected returns on human capital increase the risks of default where the present value of the debt exceeds the present value of future returns on capital. Making economic forecasts and asset allocations must be a very a very difficult job at the moment for asset managers. Developments in Europe may also have played a hand..
Who knows what spin is actually being put on the ball these days, but the Federal Reserve’s decision to implement QE3 has much complexity, and if you thought it was all about pushing up asset prices, think again.